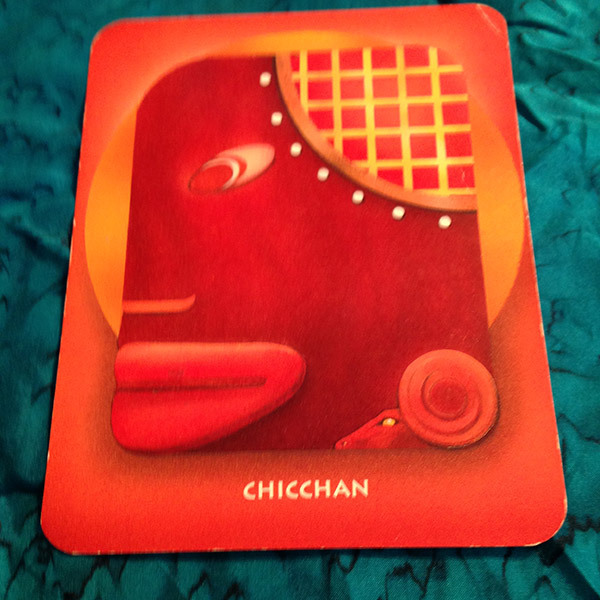 “Chicchan is the vital life force that encourages you to act intuitively in the moment! Follow your gut-level instincts and intuition.” (The Mayan Oracle). Check in with your intuitive places today. The Oracle has been suggesting you do that all week. Why resist? Trust your body wisdom to tell you the truth about a situation. Maybe you can body dowse yes or no. Maybe if you are feeling good about something move toward it. If it doesn’t feel good, trust that your body is trying to tell you and move away from it. Sometimes this is the most accurate thing you can do for yourself…trusting your instincts. They are often very correct right? Make a note of your feelings and learn not to override them with a thought of reasoning or logic. Sometimes that is not the best choice. Remember your body holds infinite amounts of data and processes without your even thinking about it. This wisdom cannot be better suited to anyone but you.